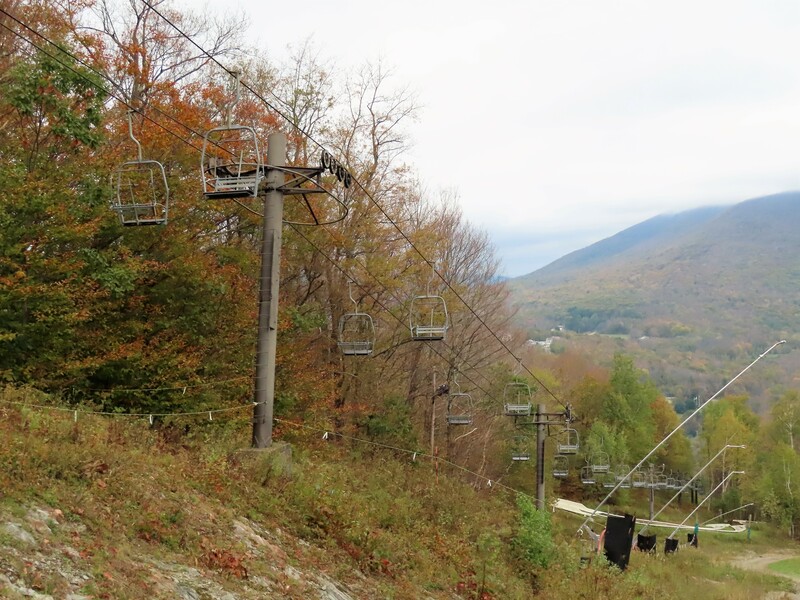 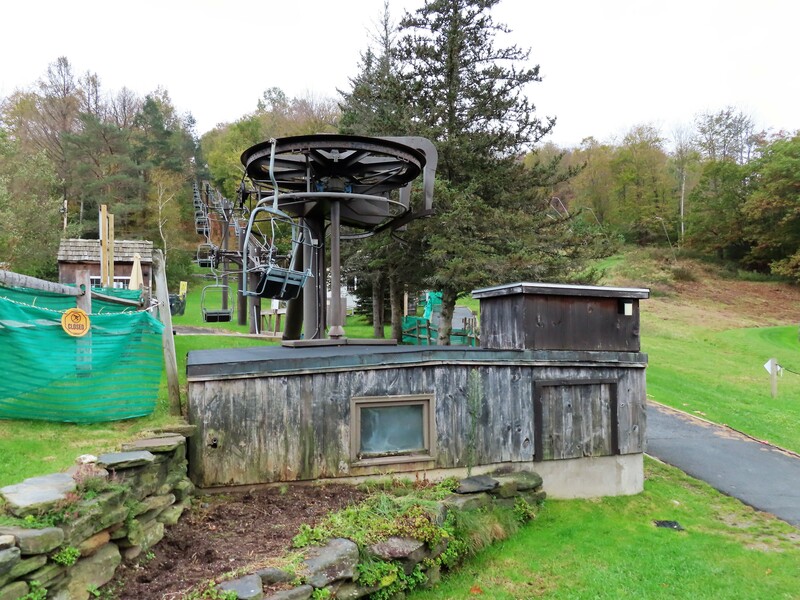 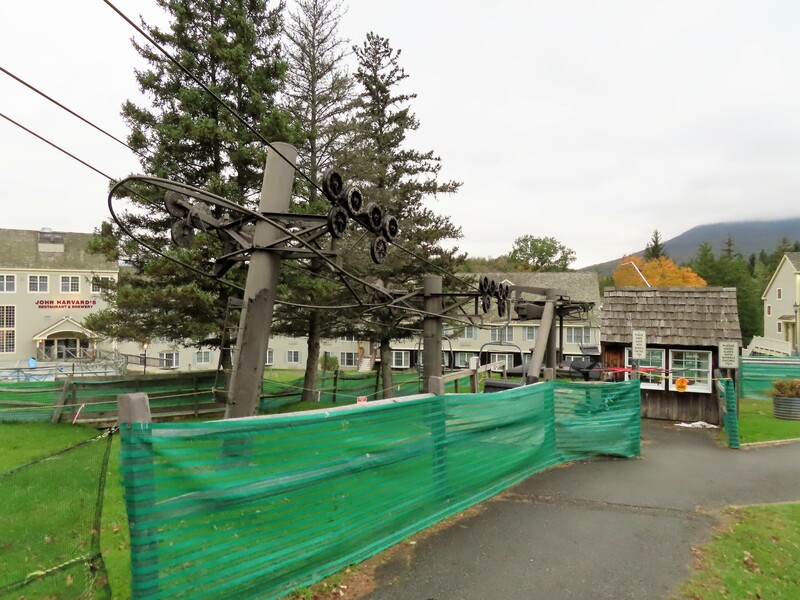 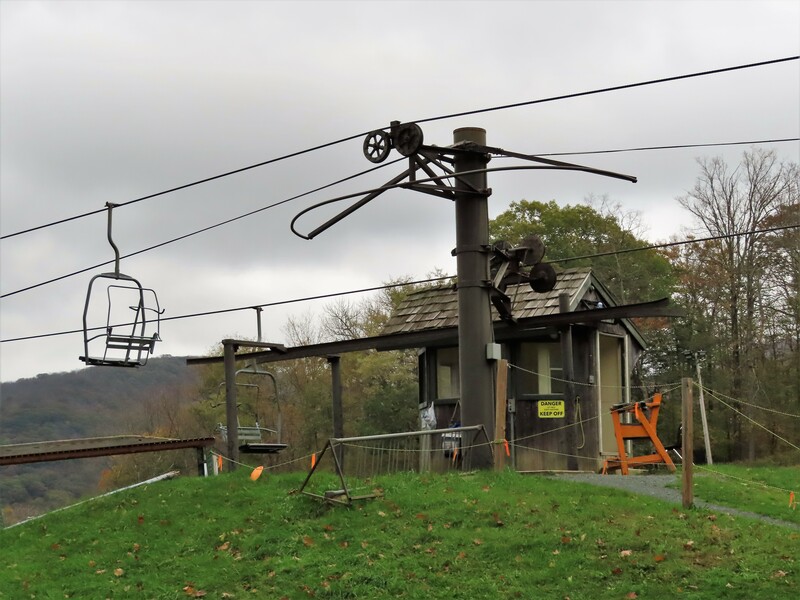 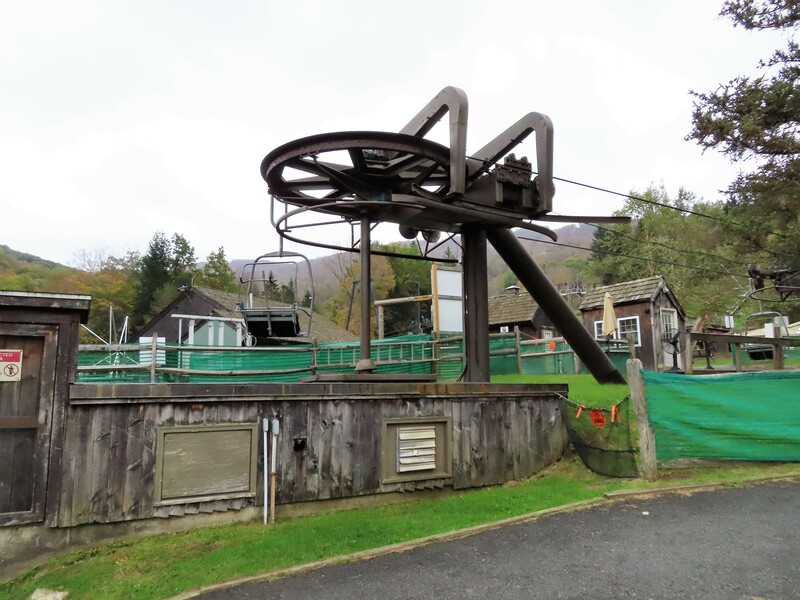 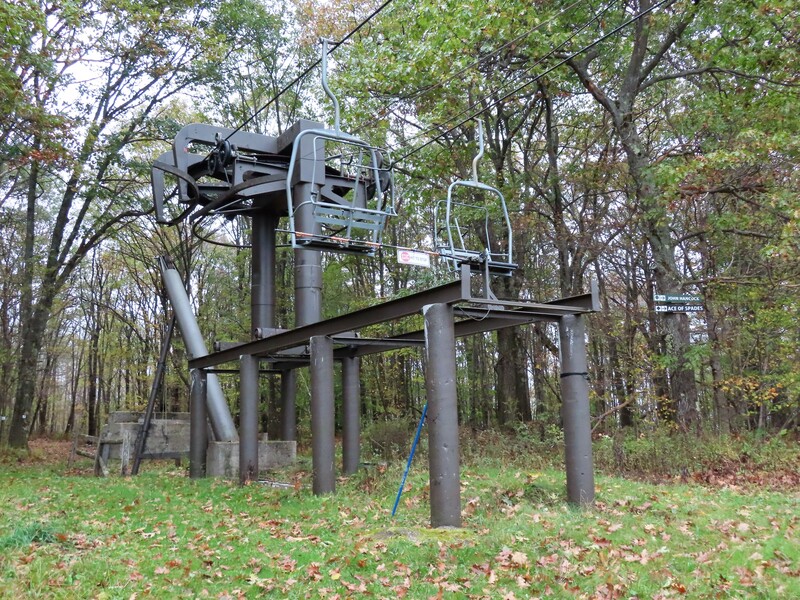 As of 2018 this is the oldest operating lift at Jiminy Peak, dating back to 1969. 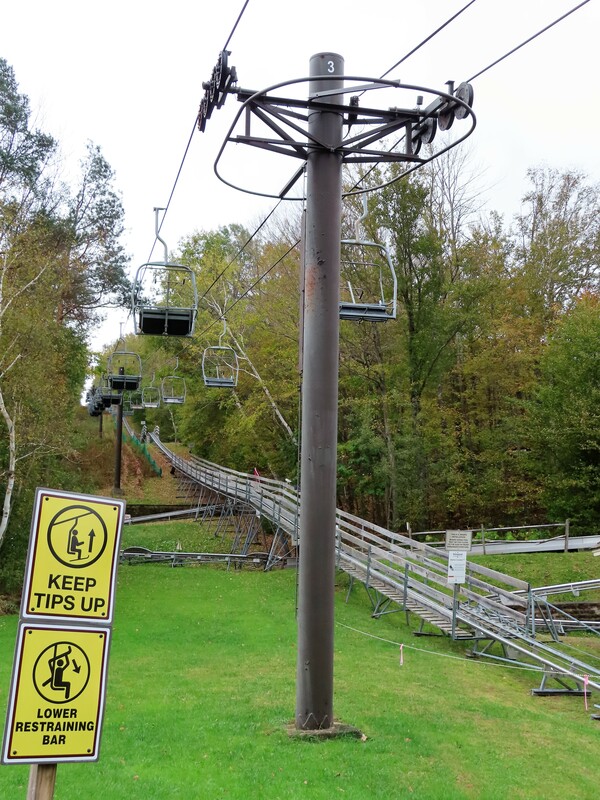 Outside of winter, the lift services and alpine slide. 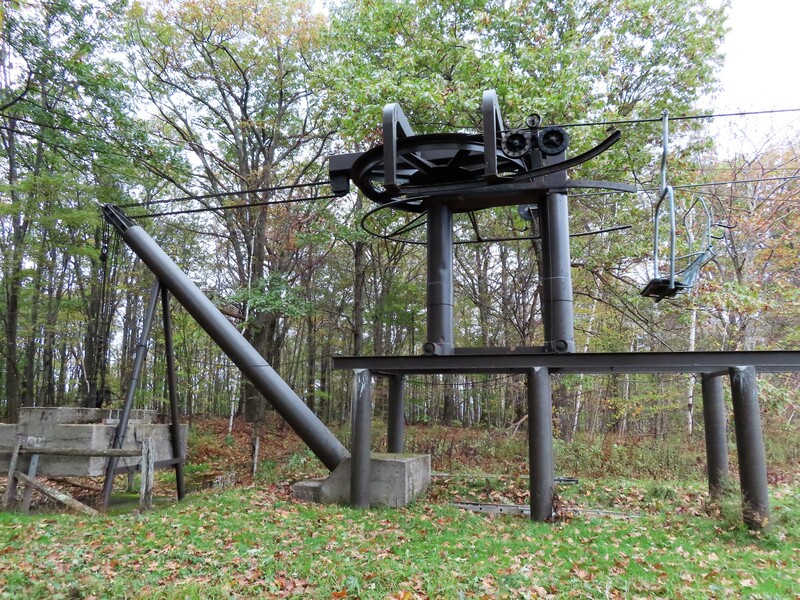 The top bullwheel and tension carriage. 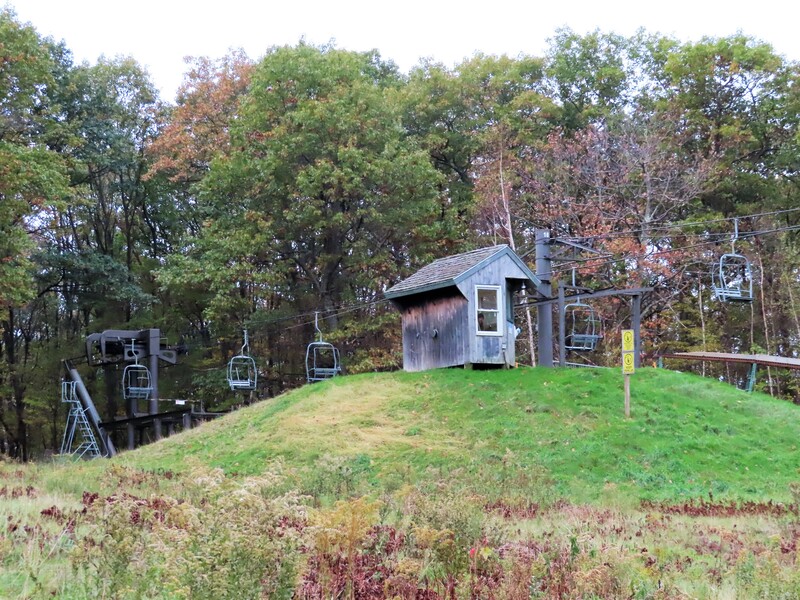 Split tower at the unload point.